Today the Apostle John offers what may well be the best answer to any question ever posed by a teacher: “My lord, you are the one who knows” (Revelation 7:14). Teachers may not give you full credit for the answer, but they should at least give extra credit for being clever. There are some people who seem to skate through life, as it were, on extra credit, without ever really investing themselves fully into their projects and duties. They count on their charm, charisma, or cleverness, but do not know the satisfaction of an honest attempt or the growth that comes from failure. 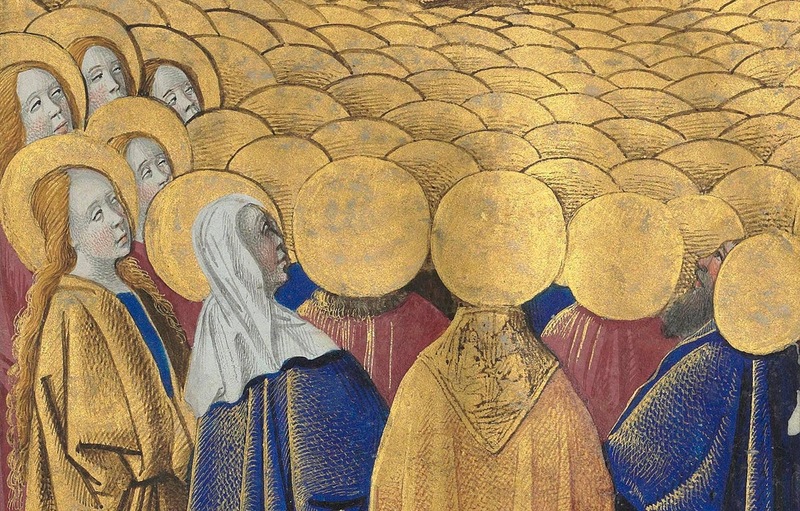 In his vision of the heavenly court, Saint John the Beloved certainly does not find himself in the presence of those who merely ambled their way into heaven. No, these men and women “wearing white robes and holding palm branches in their hands” are those who “have survived the time of great distress” (Revelation 7:9,14). It is no accident that they are standing before the throne of God. As we contemplate the lives of the Saints, of those who have made themselves pure out of love for God (cf. I John 3:3), we often wonder how they did so. How did they keep their hands sinless and their hearts clean (cf. Psalm 24:4)? 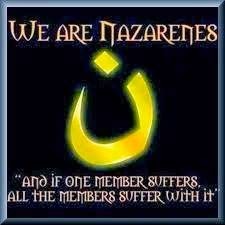 We are told that the seal of the servants of God was placed on their foreheads (cf. Revelation 7:3). Elsewhere we are told that this seal is the sign of the tau, the Greek letter T; the seal of the servants of God is the Cross (cf. Ezekiel 9:4). On the day of our Baptisms, a priest traced the Sign of the Cross on our foreheads and as he did so, said, “I now claim you for Christ our Savior by the Sign of his Cross.” When the Bishop confirmed us with the Sacred Chrism, he again traced the Sign of the Cross on our foreheads, saying, “Be sealed with the gift of the Holy Spirit.” The Saints, too, have been sealed in the same way. What is it, then, that differentiates us from them? Throughout their lives – or at least toward the end of their lives – they longed to ascend the mountain of the Lord and to stand in his holy place (cf. Psalm 24:3). Put perhaps more simply, they wanted – more than anything else – to be with God, to look upon the beauty of his face (cf. Psalm 24:6). Each of the Saints recognized the truth of Saint Augustine’s words: “You stir man to pleasure in praising you, because you have made us for yourself, and our heart is restless until it rests in you.” Do you not know this to be true? All of the Saints survived the time of great distress by remaining near the Cross of the Lord. They heard Jesus’ invitation: “If anyone wishes to come after me, he must deny himself and take up his cross daily and follow me” (Luke 9:23); they heard these words and did not shy away. Rather, they remembered that they were sealed with this very sign, that they were claimed for Christ, that they were not their own because they were purchased at the price of the Blood of the Son of God (cf. I Corinthians 6:20). Each of them encountered their own time of great distress. For some, it was religious persecution and martyrdom; for others, it was rejection by their family and friends; for some, it was the renunciation of wealth; still for others, a battle with pride or a period of spiritual dryness. In all of this, they clung to Jesus Christ and to his Cross. Looking upon the glory of the Saints, we see our own weakness reflected against their strengths. Saint John the Baptist and Saint Thomas More gave up their lives in defense of the sanctity of marriage. Saint Gianna Molla gave up her life to give birth to her child. Saint Damien de Vuester and Saint Marianne Cope risked their health to care for the lepers on Moloka’i. Saint Clare followed Saint Francis and renounced her social status to gain a life of poverty. Saint Thomas Aquinas put his great intellect at the service of the Church. Saint Therese of Lisieux showed us the Little Way of love. Saint Augustine struggled against sexual temptations and gave his heart to God. There are a great many other Saints, of course, each of whom who has given something unique to the Church. Looking upon the Saints, we wonder: Can I really be like them? Can I be holy? Can I really be a Saint? The answer is, quite simply and honestly, yes. Yes, I can be a Saint, and so can each of you. What is necessary for us to be holy is to remember that the seal of the servants of God has been placed on our foreheads. In their personalities and dispositions, and in the circumstances of their lives, the Saints are just like us. We think ourselves unworthy of being admitted to their great company, but that decision is not up to us. We have to remember, as Tolkien said: “But in God’s kingdom the presence of the greatest does not depress the small. Redeemed Man is still man.” The Lord Jesus calls us his friends and wants us to be with him; who are we to refuse his friendship (cf. John 15:15)? His goodness knows how to proportion itself to the smallest of His creatures as to the greatest of them. Be not afraid then in your solitary conversations, to tell Him of your miseries, your fears, your worries, of those who are dear to you, of your projects, and of your hopes. Do so with confidence and with an open heart. This familiarity with the Lord is the key to the holiness of the Saints; it is the key to our holiness, as well. If you, my brothers and sisters, remain close to the Cross of our Lord; if you do not flee from it but instead embrace it; if you let your heart rest in God; then you will be such a credible witness and you will be holy. To be sure, this is not an easy task, but it is a worthy one and to this you are called. You have been made for greatness; do not shy away from it! As you strive for holiness, be not concerned with the opinions of your peers or of society, but keep in mind the wisdom of Gandalf the Grey: “All we have to decide is what to do with the time that is given us.” What will you do with the time given you? Will you seek to ascend the mountain of the Lord? Will you seek his face? He is calling you; do not stay away from him. Be a saint! Saint Augustine of Hippo, Confessions, 1.1, Henry Chadwick, trans. (Oxford: Oxford University Press, 1998), 3. J.R.R. Tolkien, “On Fairy Stories,” in Tales from the Perilous Realm (Boston: Houghton Mifflin Harcourt, 2008), 389. Pope Benedict XVI, Porta Fidei, 15. J.R.R. Tolkien, The Fellowship of the Ring: Being the First Part of The Lord of the Rings (Boston: Houghton Mifflin Company, 1994), 50.